Politicians may be in positions of “power”, but never forget that they work for you and your community. Also, never forget that you don’t need to be a politician to create change in your community. 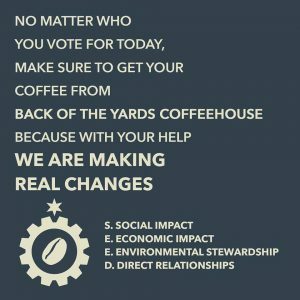 By supporting our business you’re also supporting change through our S.E.E.D. model. Proceeds from our coffee bag sales are invested into programs in Back of the Yards that promote peace and education, we hire locally and purchase from other small local businesses, we use all compostable materials and we recycle (we’re a Gold Level Partner with the Illinois Food Scrap Coalition), and we create direct relationships: with our coffee growers in Chiapas, Mexico, with leaders in our community, and with all of our neighbors. 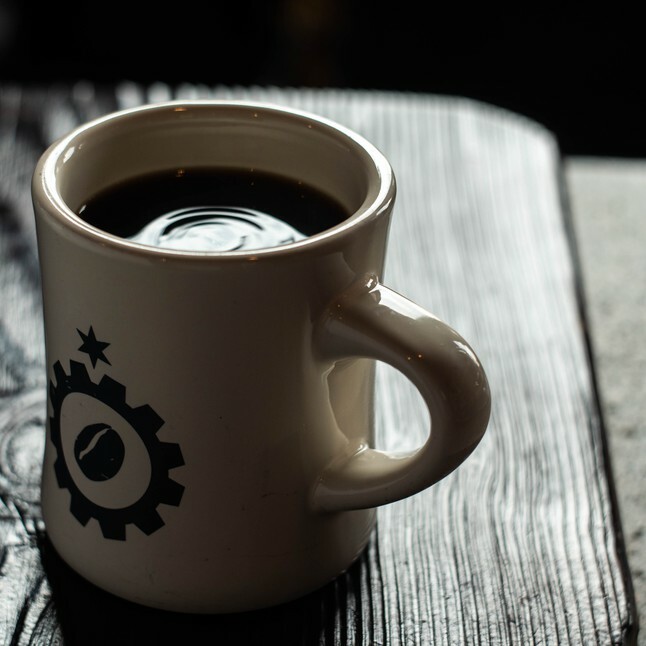 Happy Election Day and stay caffeinated with Back of the Yards Coffee.